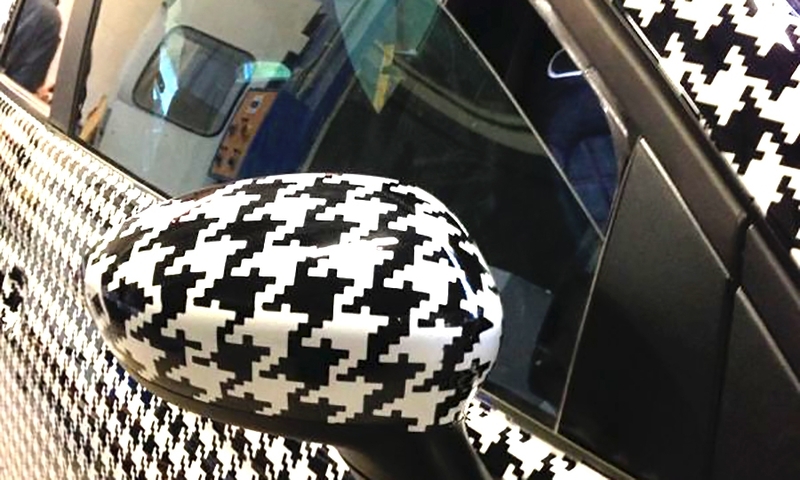 Lapo Elkann's vivid imagination has led to quirky interior and exterior designs for his personal car collection and projects automakers have had him lead. Lapo Elkann at an exhibition he curated on Gianni Agnelli, his grandfather and the man who made Fiat into an industrial powerhouse. 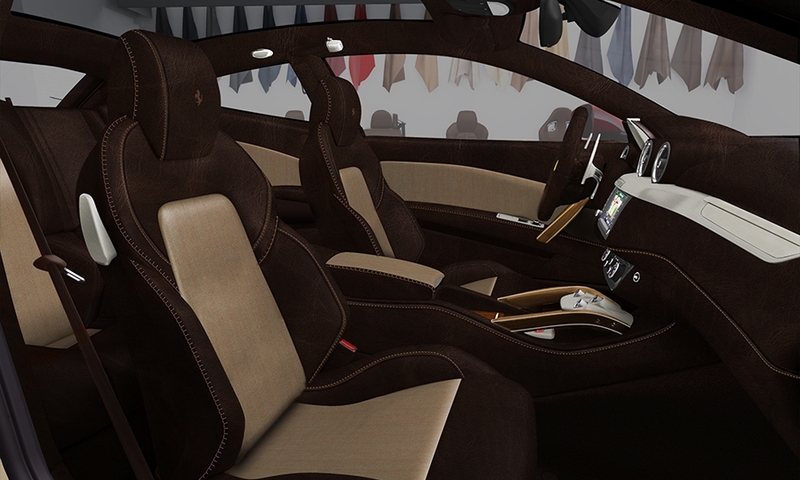 Elkann's work incorporates materials and designs from a variety of areas. 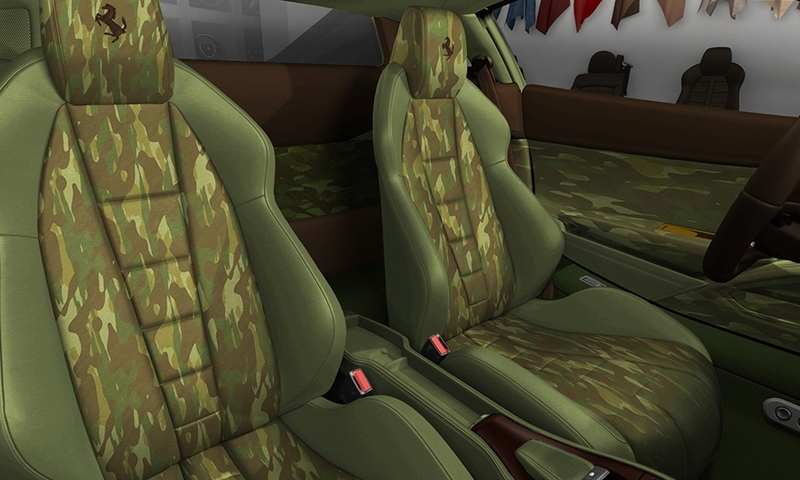 Here is a Ferrari 458 Italia with a camouflage leather and carbon fiber interior. 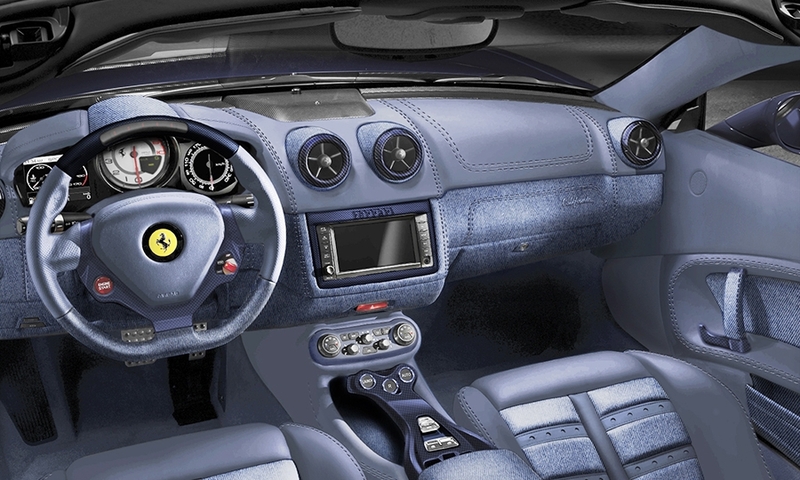 The denim interior of Elkann's Baby Blue Ferrari. 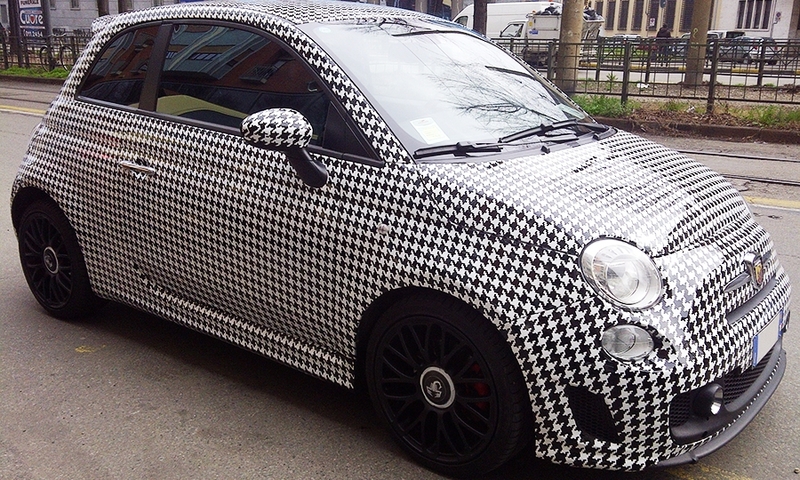 A Fiat 500 in a houndstooth pattern. 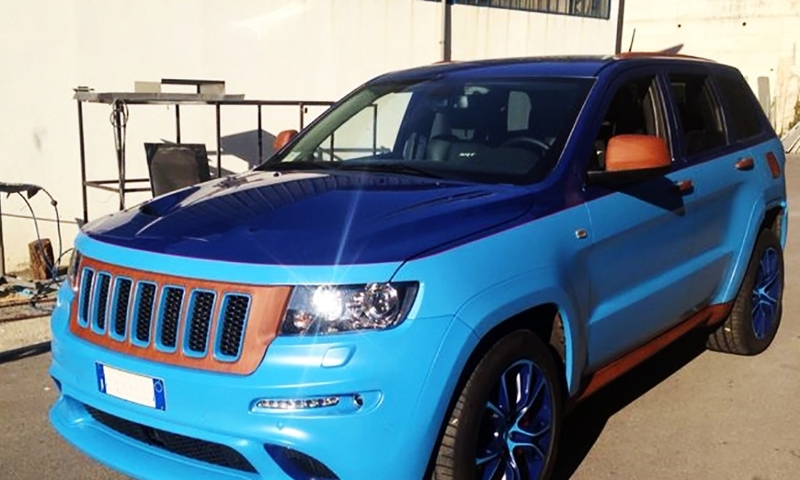 Elkann's work with unconventional materials goes beyond interiors and mattes, here he uses teak wood for the grille, mirrors, running boards, door handles and gas cap of a Grand Cherokee SRT8. 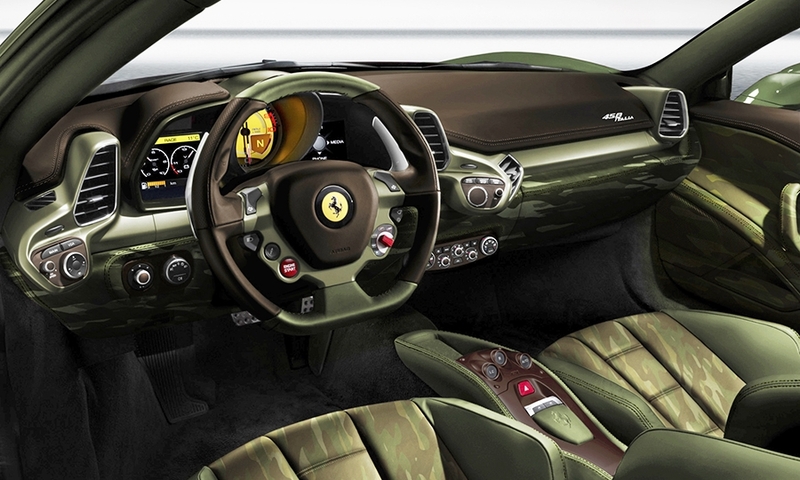 An FF Ferrari presented at the 2013 Frankfurt auto show with an interior designed under the guidance of Elkann. 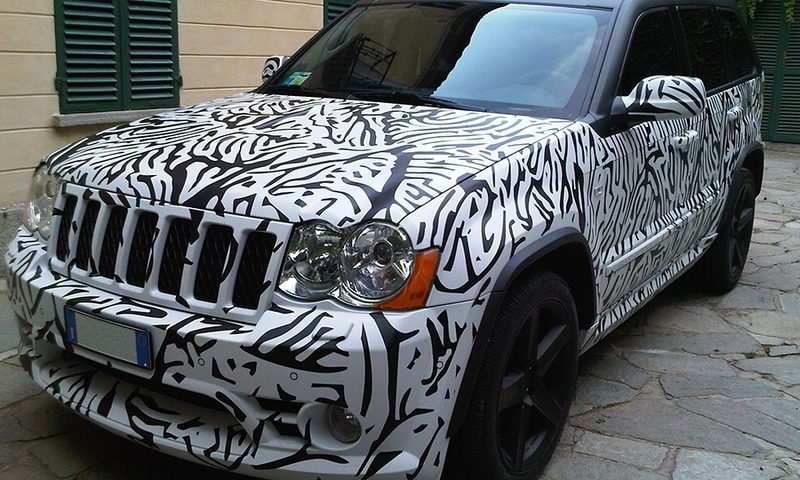 A Grand Cherokee SRT8 with a zebra pattern. Here's a selection of his work.